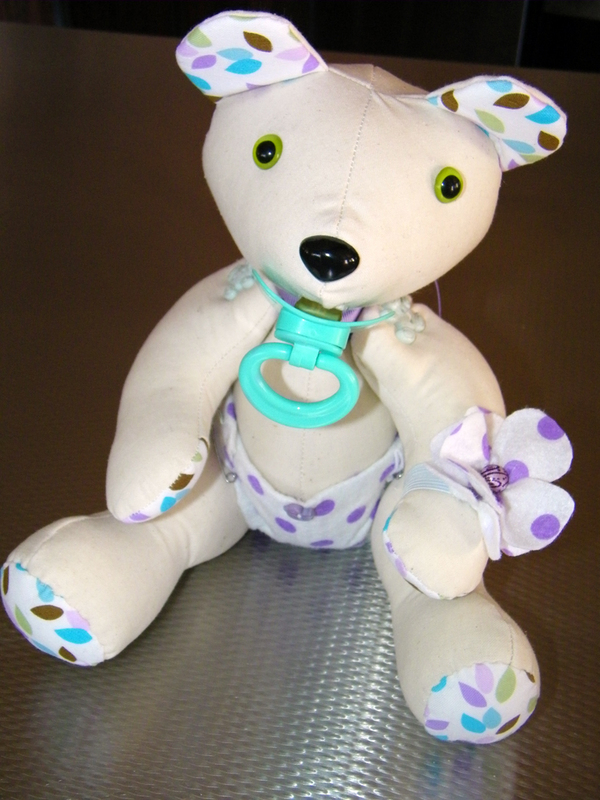 Last week my friend Timiney asked if I could make her a baby signature bear for her baby shower in a couple of weeks time like the one I had for my baby shower. Of course I said yes, so over the last couple of days I have been working on it and now it is all done! 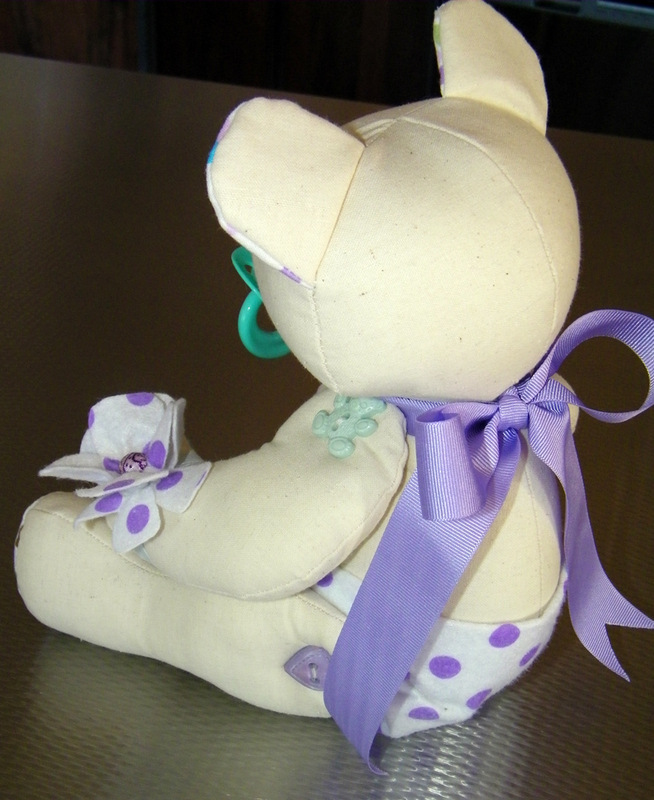 Here is the finished baby signature bear.